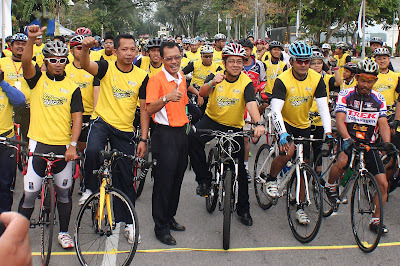 29 January 2012, MUAR – The first venue of Yellow Ride has officially kicked off in Tanjung Mas, Muar in Johor with a total of over 250 participants. 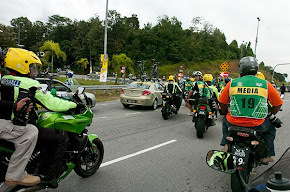 The 16 km ride that took the cyclists around Muar was flagged off by Encik Hanis Musalman Bin Salehan, Assistant District Officer of Muar, Johor. 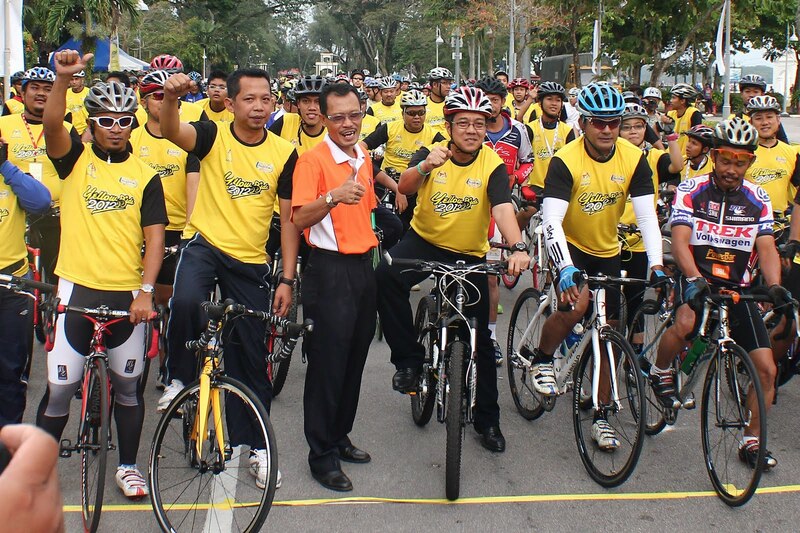 The 2nd edition of Le Tour de Langkawi’s signature fun ride was lead by Deputy Minister of Youth and Sports, YB. 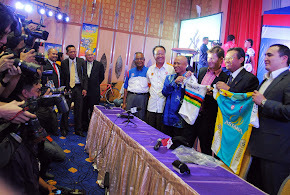 Dato' Razali Haji Ibrahim, LTdL 2012 Chief operating officer Emir Abdul Jalal, along with former national cyclists M.Kumaresan and Musairi Musa. 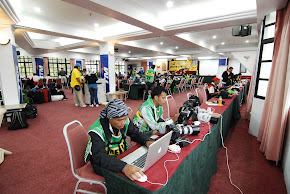 Locals cycling enthusiast including senior citizens and children as young as 10 years old turn up as early at 6:30 am for registration, along with all sorts of bicycles ranging from road bike, mountain bike, fixies and bmx. 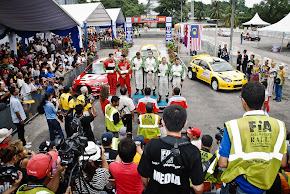 Participants received Yellow Ride t-shirts, mineral water and Milo water bottle. 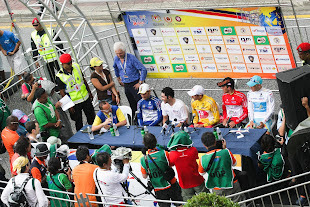 M.Kumaresan and Musairi Musa were flocked by fans eager to get their shirts signed by the cycling icons. 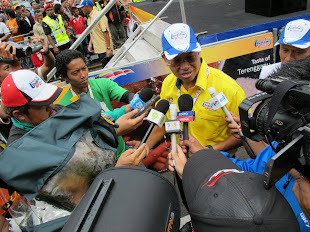 Lucky draw prizes which includes hand phones and hampers was given out by LTdL 2012 Coo Emir at the end of the ride. 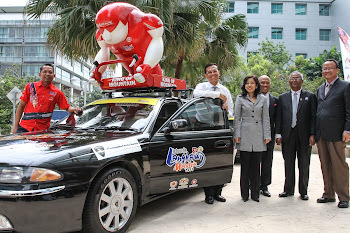 Yellow Ride is a promotional activity of Le Tour de Langkawi to encourage more Malaysians to take up cycling and inform the public that LTdL is just around the corner. 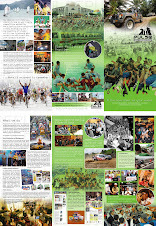 Upcoming venues include Bandar Tun Razak, Cheras Kuala Lumpur (4th Feb), Dungun, Terengganu (18th Feb), Dataran Merdeka – Ride with Teams (23rd Feb), Dataran Pahlawan, Melaka (25th Feb), Parit Sulong, Johor (26th Feb), Dataran Cukai, Kemaman Terengganu (2 Mar) and Dataran Shah Bandar, Kuala Terengganu (4th Mar). 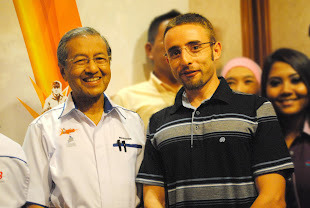 YELLOW RIDE IS BACK! 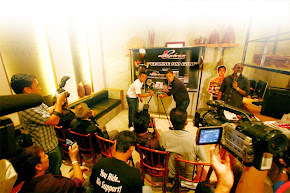 ARE YOU READY TO RIDE?